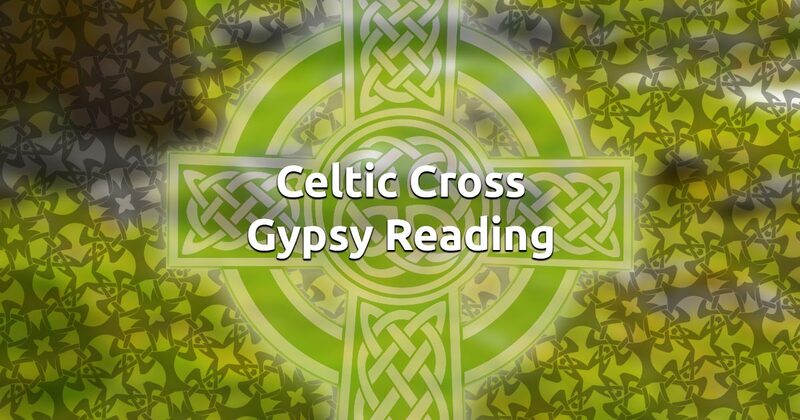 The Celtic Cross Gypsy card spread is widely used as a tool for recognizing and understanding critical details about your current life situation. This Gypsy reading will show you the nature of your surroundings, possible allies and enemies around you. It will reveal key characteristics of your conscious and subconscious mind, as well as decisions and events that have led you to this position. The cards will tell you what your real hopes, dreams and fears are, and based on all this information, they will suggest a likely outcome. The Celtic Cross is a useful spread if you're feeling at a crossroad, facing a dilemma. It will help you get right back on track by presenting the important aspects of a pressing issue that is troubling you. Relax and focus your thoughts and feelings on the present, when you're ready select 10 cards and your free reading will be instantly before your eyes.